The windows in front of your building are more than just an entrance for sunlight — more than just an open lens for customers to see into. They should also act as a promotional tool, displaying information to capture attention. SpeedPro Imaging Affinity Solutions has the right tools and skills to bring your business — well, business! Our custom window graphics will turn your business window display into a visually stunning storefront, increasing customer connections and gaining attention. If you’d like to begin rebranding your business window graphics, reach out today. Once we schedule a consultation, we’ll be more than ready to start drafting your designs. 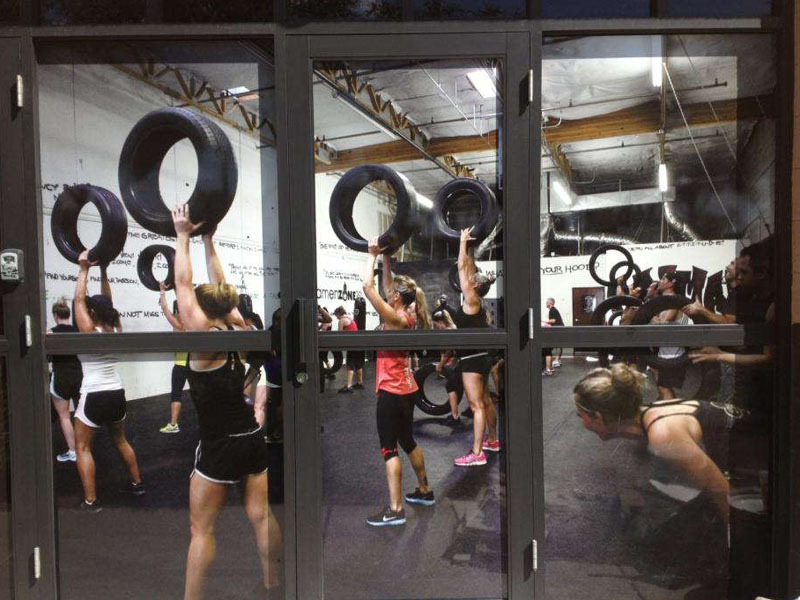 Business window graphics can be featured in a variety of ways. You can throw a large graphic down to span your windows, promoting a new product or item your business is trying to sell. Including your store hours on the front door will invite customers in and also encourage people to return when they know you’re available. Plus, providing general information about your store will be helpful to out-of-towners walking by! You can welcome guests inside by including graphics that appear friendly, and you can keep them inside by following up with indoor window graphics. These items can be used on any glass-type barriers, whether that’s between cubicles, on an office door or on a wall separating rooms. Keeping the business graphics inside similar to what’s displayed outside will create a unified environment, reducing the confusion or unease that might result from a variety of random images. 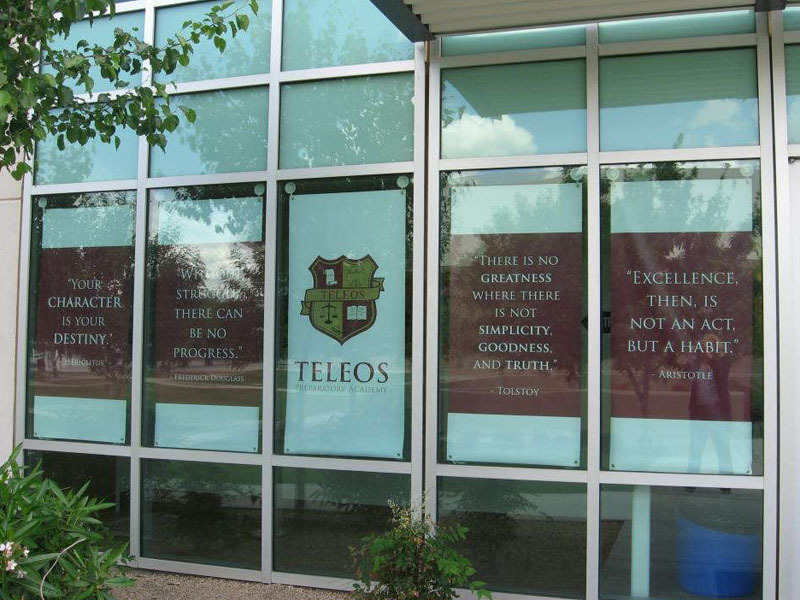 Brand your business by including a logo or small phrase on all window-like surfaces to keep your office graphics seamlessly welcoming. 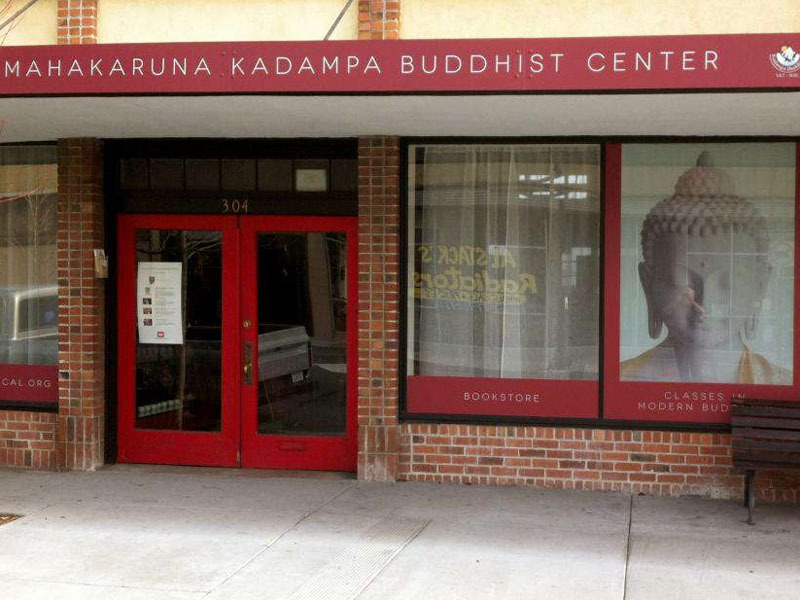 Custom business window graphics can drastically change the appearance of your building or office and increase your profitability. If you’re looking for a creative visual effect, frosted window graphics may be your go-to. They give your window a soft, airbrushed look, clearly separate from the harsh clarity of your glass. You can either create an image out of the graphic or just illustrate the frosted look. Spreading a perforated window film across your windows will create a vividly colored appearance for your building. Our vinyl material holds fade-resistant ink, making sure your graphic stays crisp for years to come. The perforations within the film allow just a small portion of light through while still being thick enough for onlookers to clearly see the image and not through the window. A very popular product of ours is our window clings. Applied just like stickers, they can be as large or as small as you’d prefer and are easy to adhere and remove. Boast your business’s name or illustrate some upcoming offers with this minimalistic look. Call our studio today to schedule a consultation appointment. We’re available for all business and organizations located around Sarasota, Fort Myers and Bradenton.